Over the rolling centuries, ‘peace’ has been a major concern: in religions and, more often, within socio-political contexts. Yet, perhaps ironically, the world history is a long, uninterrupted story of wars and violence. Not long ago - in the aftermath of Hitler’s defeat, the inception of the United Nations held out hopes of a new, free-from-war world order, which the hostile scenario today believes! Is peace then a dream? A Utopian abstraction in a dehumanized, fragmented world, stock-piling all-devastating war machines? And can we possibly uphold the culture of peace amidst the growing cult of violence and blind consumerism, or in a climate of distrust, acrimony and intolerance? Addressed in this collection of essays are these and other related questions by some of the best minds from different countries of Asia. Cutting across narrow comparten-talizations of disciplines, the authors try to share, with wider audiences, their concerns for peace, situating their sensuous/intellectual/spiritual experiences in a culture of peace. Also identifying specificities - in terms of peace-threat-ening issues, situations, geographical zones, the volume attempts to show how education, individual responsibility, philosophy, ethics, artistic creativity, collective spirituality, Gandhian non-violence, Sufis’ universal love, and the Buddhist message of compassion and equanimity can reinforce the culture of peace - even in the face of despair. This volume - 6th in the Culture and Development series - is essentially the assemblage of essays presented at the Asian Conference on “The Culture of Peace: the Experiences and the Experiments”, held on 25-29 November 1996 in New Delhi. Baidyanath Saraswati, an anthropologist of international eminence, is Unesco-Professor at the Indira Gandhi National Centre for the Arts, New Delhi. He is former Professor of Anthropology at the North-Eastern Hill University; Fellow of the Indian Institute of Advanced Study; and Visiting Professor at the universities of Ranchi and Vasva-Bharati. Professor Saraswati’s published work comprises a number of books and monographs, among which notably figure Pottery-making Cultures and Indian Civilization; Brahmanic Ritual Traditions; Kashi: Myth and Reality; and Spectrum of the Sacred - besides his edited titles, like Tribal Thought and Culture; Prakrti: Primal Elements- the Oral Tradition; Prakrti: Man in Nature; Computerizing Cultures; and Cross-Cultural Lifestyle Studies. Perhaps one of man’s earliest awareness was the need for a harmonious peaceful life with all living beings. 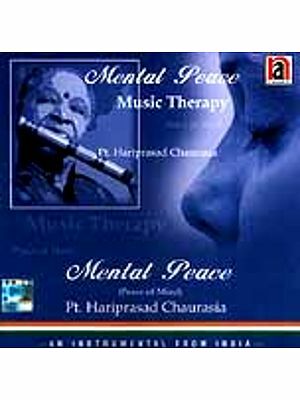 In India the Vedic seers evoked ‘peace’ (santi) in many hymns. They inchanted the verses, invoking peace on earth, with the vegetative, the animal and the human world. Over the millenniums, the more strife man creates, the more he (she) calls out for peace. Modern civilization lives in the paradox of ever increasing capacity of man to comprehend the universe ascend to spaces unknown and the imminent threat of total annihilation. Development, independence, disarmament and peace are closely inter-related. Can there be peace alongside nuclear weapons? Without peace, all our dreams of development turn to ashes. No peace today, no life tomorrow. The interface of development and peace, and of course disarmament has been the subject of many international conferences and global debates. The Indira Gandhi National Centre for the Arts (IGNCA) cannot address the question of nuclear weapons and non-proliferation, but it is concerned with the cultural fabric of societies, life-styles and their interface with development models which create disharmony and ruptures at the human level. On the occasion of Mrs. Indira Gandhi’s martyrdom anniversary, the Centre considered it appropriate to hold an international conference on the Culture of Peace, as a tribute to her. The volume is dedicated to her memory. The conference was also in continuation of other initiatives taken by the Centre to study the interface of culture with other domains of life. Three conferences and seminars and workshops addressed a variety of issues, such as identity, indigenous knowledge system, the interface of culture and ecology, culture and education. As early as 1989 an international workshop on Cross-cultural Lifestyle Studies with Multimedia Computerizable Documentation was organized under the aegis of UNESCO. The proceedings of the Workshop have been published in two volumes. The deliberations on general concepts, theories and methods were followed by a series of pilot studies of various cohesive communities in different parts of India. In 1993., the UNESCO responded again to this concern of the IGNCA and facilitated another international seminar which went a little further in exploring the Interface of Cultural Identity and Development. The proceedings of this seminar constituted the First Volume of the IGNCA’s Culture and Development Series. The Second Volume, Integration of Endogenous Cultural Dimension into Development, aimed at suggesting positive strategies for intergrating all that could be understood by the term ‘indigenous cultural knowledge’. The Third Volume, the Cultural Dimension of Education, addressed itself to a cross-cultural comparison and assessment of problems involved in the modern system of education. The Fourth Volume, the Cultural Dimension of Ecology, devoted itself to critical issued pertaining to the natural environment. The Fifth Volume, Lifestyle and Ecology, emerged as an outcome of some pilot studies on the inter-relationship of nature, social structure, world view, cosmoogy, daily routine, lifecycle, annual calendar, knowledge, skills and traditional technologies. Closely linked with the fluid dynamics of a culture is the issue of peace. The Sixth Volume presents the proceedings of the Asian conference on the Culture of Peace, held in 1996. I must hasten to acknowledge that in organizing this conference we have received moral support and encouragement from H.E. Dr. Felix Marti Ambel, Director of the UNESCO de Catalunya, Barcelona, who has pioneered a series of dialogues on The Contribution by Religions to the Culture of Peace’. Professor B.N. Saraswati is associated with this dialogue since its beginning in 1993. Dr. Marti could not attend our conference, but I am indeed very glad that he has contributed to this volume a very valuable prologue which brings to light the importance of making such dialogue a fundamental practice and a living part of all traditions. The fact that six participants of the Barcelona dialogue took part in the IGNCA conference clearly shows that we have moved a step further towards realizing this goal. Although in a certain sense this conference was a renewal of the Barcelona dialogue, its framework was different in so far as it did not aim at evaluating the role of the religion in building a culture of peace. It was planned with intention of sharing the experience of beauty and peace and working toward the moral basis of experiments in peace as reflected in the wisdom tradition of Asian peoples and cultures. 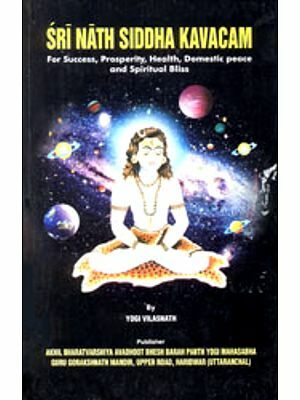 The distinctive nature of the culture of peace in the present volume is treated at several different levels by eminent peace researchers, educators and actors in peace, Gandhian scholars, religious leaders, spiritual luminaries, philosophers, poets painters, artists, choreographers, musicologists, archaeologists, anthropologists, indologists, doctors, and other professionals coming from different cultural traditions and background. The presence of this impressive group of participants, who came from Bangladesh, China, India, Iran, Japan, Russia, Sri Lanka, Thailand, the USA and Vietnam, was the proof and the confirmation that this world driven with war and violence is in need of a new culture of peace. While addressing themselves to various themes of the conference, the participants came out with several formulations; Peace is not absence of war, rather it is a state of integration with Nature. Peace is the condition of mind. The vision of peace is countered by materialism and consumerism. Art is the best means of spreading peace. Meditation helps the art of peaceful living. The awareness of peace starts from childhood and motherhood. Peace is a basic requirement of every living being. Peace is scarce is a state of being. Culture is an expression, and religion is the source for both state and expression. Major religions of the world such as Hinduism, Buddhism, Christianity and Islam have contributed to the culture of peace. The method and the message of Mahatma Gandhi have given a healing touch to the ailing humanity today. It is my sincere hope that through diverse voices of the participants there will be a renewal of the sense of urgency to adopt plural paths for the single goal of establishing a culture of peace in this our strife-torn world of our own making. Reading some of the contributions from the seminar organized in 1996 by my friend Baidyanath Saraswati on the Culture of Peace that are gathered in this book I feel called to reflect once again on cultural diversity and on the possibility of a common Culture of Peace on our responsibilities as crafters of peace. I think one of the most important cultural events of recent decades has been the discovery of the regional nature of all cultures, including the culture of science and technology which the dominant powers in the world today have tried to impose on all the continents as though it were a superior culture to others. Today, knowledgeable people, East and West, North and South, are agreed on the local, partial, limited nature of all cultures. None of them can be considered globally superior to the others. For centuries the cultures of the colonizers were imposed on people everywhere, in the conviction that their values were objectively superior to those characterizing the people they colonized, their religions and their way of life. The nineteenth and twentieth centuries have seen large-scale attacks by the culture of science and technology against the so-called inferior cultures. We are coming to the end of the twentieth century (if we measure time by Christian standards) with the certainty that no one culture has a monopoly on knowledge, values or the art of living. For this reason I feel we are beginning an interesting cultural period which will be characterized by a long, patient struggle to understand cultures different to our own. This is a time for intercultural dialogue, for discovering the spiritual, conceptual and experiential originality of other cultures and for respect for the untranslatable or intransferable nature of many poems, concepts or experiences in each specific culture. In this respect, we realize that each language is a universe full of enigmas, mysteries and wonders that can be revealed through sensitivity and respect. Some of the articles in this book interest me precisely because they bring me closer to symbolic universes and forms of knowledge that are still a long way from my own. Intellectual tradition. I would like many academics in the Western tradition to reap the benefits of this valuable material. When people in Western universities or research centres speak of the culture of peace or simply of peace that tend to look at political, social or - especially - economic issues, and they lack the conceptual instruments necessary to extend their reflection to anthropological, aesthetic, cosmic or spiritual issued. I am delighted at this book’s contribution to extending the debate on the culture of peace and I think that from now on, luckily, we shall no loner be able to speak of the culture of peace without taking into account its multi-dimensional nature and the original approach taken by the book’s authors. I am convinced that without this type of contribution the search for the culture of peace could become a repetition of the experience of cultural colonialism. The second reflection arising from reading the contributions to the seminar in New Delhi in 1996 is whether, over and above respect for cultural pluralism, it will possible to agree on a universal Culture of Peace. In the atmosphere at the seminars in Barcelona in 1993 and 1994 and in New Delhi in 1996 we have cause for optimism. The religious and ideological patterns of our various human communities are different. Extreme injustices exist that make violence understandable. Economic models of development are unsustainable and prevent our establishing a harmonious relationship with nature. Human history, until today, has always included war as an expression of conflict. In this respect we can ask ourselves if it is possible to find a common ground of ideas and actions which we can share and whether we can begin a new culture of peace. I think the essential orientation of the great religious and cultural traditions is similar. Using different myths and languages they speak out in favour of a desirable cosmic order which dignifies human life and makes more harmonious co-existence possible. The different relations they establish between the cosmos, human beings and the divinity always inspire ways of life and responsibilities that keep chaos and violence at bay. I think a leaning towards peace is common to all traditions, although each one picks out certain aspects of peace. To work together for peace, we need not be inspired in the same mythological and symbolic universe or have exactly the same priorities. It is enough if we recognize our common intentions and are willing to discuss the conditions of peace. The issue of dialogue appears as a fundamental practice which must be made a living bearers of knowledge or salvation. I think this pretension arises out of the ignorance caused by the isolation or political manipulation of religious and cultural traditions. Those cultures that are not afraid, because they are convinced of their values in any context, are open cultures. So are those traditions which manage to keep clear of political interests. I believe that in a context of ever easier communications and ever stronger interdependences, only open cultures prepared to dialogue will have a future. It could seem that shutting themselves away in ideological and political citadels is a guarantee for the future, but precisely the opposite is true. Cultures, like living species, have a future when, in dialogue with their surroundings, they evolve and adapt. Our traditions, faithful to their sources of inspiration, must generate dialogue, reasonable explanations and proposals for life that oppose chaos, pain, ignorance, alienation and injustice. Our traditions must be well disposed, that is able to stand back wisely from even the appearance of excessive mythicism in their own tradition. Religious fanaticism in not well disposed and is a superficial form of religious life. The depths of religion are mystical, free, luminous, joyful and open. We are beginning to locate the common ground of the Culture of Peace. Some contributions by the Hindu tradition draw attention to cosmic harmony; some contributions by the Buddhist tradition insist on non-violence; some contributions by the Judaeo-Christian tradition call for recognition of human dignity; some contributions by the Islamic tradition remind us of the need for justice; some contributions by non-religious humanism value rationality and ethical qualities. But each of these contributions connects with the others and this is why no tradition can consider as alien the Universal Declaration of Human Rights or Agenda 21 from Rio de Janeiro or aspirations for human development for all peoples. My third reflection refers to the responsibilities we need to exercise. We must see to it that the value placed on active non-violence becomes generalized. Until now non violence has been limited to the circles of relatively marginal groups. Policies in most states and international political relations include the resort to war as something quite normal. There are some international decisions in favour of disarmament, but they are still hesitant and insufficient. We must see to it that war gradually ceases to be a normal way of resolving conflicts. We must fight against the historical inertia that colonises our imagination and prevents our thinking of a future without wars. We must make it possible for politicians for solving conflicts. We must multiply the courts of appeal and of law to which demands for the application of justice can be directed. We must create tribunals and mediating authorities for the different types of conflict. We must, above all, create the certainty that any conflict can be solved without the need for violence. At the same time, state and international laws must make life impossible for the mafias of violence. Disarmament and democratic conflict-solving must become priorities on the national and international political agenda. All these changes will be possible on condition that the great spiritual and cultural traditions are clearly oriented towards the culture of peace. Our traditions have the power to shape the hearts of human beings: the desire, the secret dreams, the most mysterious energies, love and hate, generosity. If our traditions make clear their position in favour of the culture of peace, this will set up a powerful tend that will make it all possible we need a broad-based agreement to bring together behind a single aim spiritual leaders, artists, thinkers, journalists, educators and scientists. I think UNESCO is the right platform to facilitate the necessary agreement. I hope that in the coming years we shall be able to multiply initiatives in favour of the culture of peace on every continent. The seminars in Barcelona and New Delhi are significant contributions in the right direction. I believe one of their great virtues is that they have created a universal network of friendship between religious and cultural leaders working for peace in different contexts. But in the same spirit. After these three seminars, I am sure our work will continue with renewed enthusiasm.